Datsyuk: "Open-air hockey is a trip back to childhood." With a mere seven days remaining until the Helsinki Ice Challenge – the celebratory match under open skies between Jokerit and SKA, marking the 10th season of the League and the 50th birthday of HC Jokerit – we asked the leaders of both participating teams about the forthcoming event. Ilya Kovalchuk, Pavel Datsyuk, Eeli Tolvanen and Ryan Zapolski spoke of their anticipation and expectations, and agreed that it will be no ordinary game. 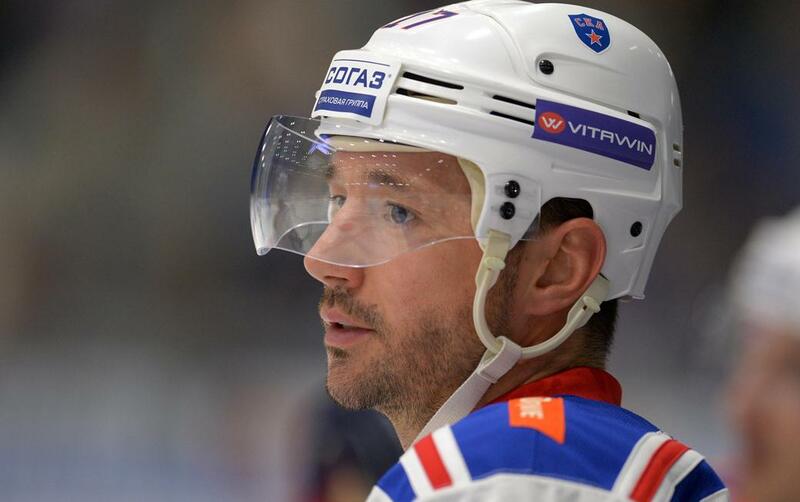 SKA forward Ilya Kovalchuk believes the game under wide, open skies is an excellent idea and sees the Jokerit – SKA clash as one of the key contests of the season. - What is the lowest temperaure in which you have ever played? - Does playing in the cold make you skate faster, to keep warm? - Your main hope is that the coaches give you plenty of shifts (smiles). If they do, then yes - you soon warm up. - Which parts of the body are the first to start freezing in matches like this? - Your hands, I think. You need gloves. And a blanket, for when you're on the bench. I'm sure the organizers have planned for all this. - How would you sum up an open-air game? An adventure, a day's work, or an experience? - It's a great adventure. The more we have such games, the more exciting it is for the fans. - Which is better in the cold – tea or coffee? - I hardly ever touch coffee, but I love tea (smiles). - Is there anything you don't like about modern-day hockey? Anything you'd like to change? - I like everything about it. The most important thing is pleasing the public so that they come to the matches. It would be boring to play in front of empty stands. - How would you rate SKA this season, compared with the teams in previous years? - We lost a few players who chose to go to the NHL. Still, a few have returned. So I think our level is as high as it was before. We had a great preseason and made an amazing start to the new campaign, although it is the second half of the season that is more important. - Which opponents in the KHL bring out the best in you? - Jokerit is obviously one of them (smiles.) They are one of our main rivals, but we have never met in the playoffs. Maybe this is the season when it will happen. They are great opponents, and it will be a fierce battle..
- What do you expect in the open-air game? - It's a great idea, and I hope there will be more matches like these. I expect it will be well-organised and will attract many fans. 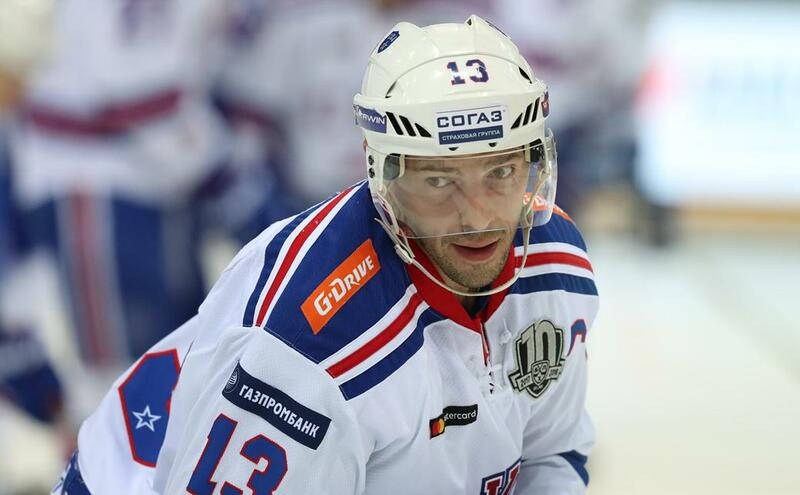 SKA team captain Pavel Datsyuk reflects on how he used to love playing in open-air games, and invites the fans to come and feel the atmosphere. - You played in two matches under open skies in the NHL. Scarcely any of your team-mates have experienced it, so what kind of advice could you give them before the game? - I remember both games very well, especially the atmosphere. The press whips up a lot of interest before the game, and one was just after New Year, so there was a really festive atmosphere. And hockey in the open air is like a little trip back to your childhood. You feel a bit drained afterward..because you had waited for it, trained so hard for it, and there's a lot of emotion. Your family comes to watch, and so do your friends, and the crowd is huge -much bigger than at the usual arenas. My advice would be to keep a tight rein on your emotions, so you're not too drained for the next game; enjoy the hockey; and don't forget that it's a game. - Which part of open-air hockey is the most difficult, in terms of adapting? - Those who played street hockey as children probably rremember what it was like: the biting cold, the icy winds blowing from all directions, and the snow falling. But when there's that kind of atmosphere, you soon get used to all of it and you don't pay any attention to little difficulties. The conditions are the same for all the players, so you just have to enjoy it while it lasts, because games like these are few and far between and they linger in the memory. Make sure you're left with positive emotions. - How will you avoid freezing in such a match? - You need to move about more (smiles). In fact, when I was a kid I spent a lot of time out on the street, playing football and hockey. We cleaned the surface, poured the ice ourselves... A lot of my friends would play. I have really fond memories. Today's children need to get away from their consoles and gadgets, and spend more time out in the fresh air, make friends, play active games in the yard. Even today, for example, my friends and I still spend time together out in the yard. - Which things left the deepest impression on you from your open-air games in the NHL? - Very hard to choose. It just so happened that my team won both games, and I managed to score a goal, but most of all, I think I it's the atmosphere that's the most memorable part. So many fans in the stands! They were cheering us and the opposition. It's a great feeling, playing front of 40,000 in one game and 100,000 in the next. It leaves an impression, and I can still look back and see it clearly. - If you made a movie about SKA's season so far, what would be the genre? Thriller, adventure, comedy or horror? - Is there more feeling in the rivalry between SKA and Jokerit than in other rivalries? - Jokerit is an excellent team, and plays in a very aggressive style, so games against this team are always very tough. - Is there a secret to beating Jokerit? - Yes, to play as a team. Jokerit plays good hockey and the players work very hard, so if we want to win against these opponents, it means we have to work even harder than they do. - What do you expect from the forthcoming game against Jokerit under the open skies? - I invite all the fans to come and support us and savour this special occasion, feel the electric atmosphere, and watch a great game of hockey. I expect there will be a packed stadium and fine weather. It's bound to be a great match, and we will all really enjoy the occasion. 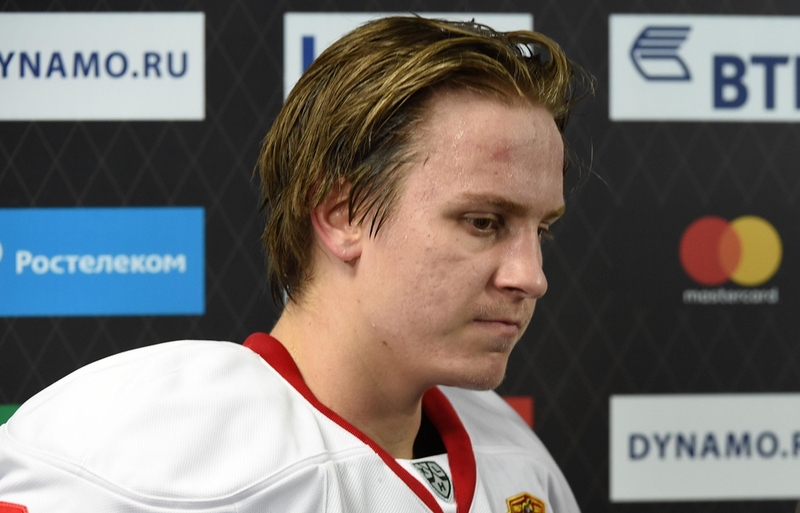 Jokerit's exciting young forward Eeli Tolvanen will rely on hot tea being available during the match, and says that as a child he dreamed of play hockeying the Ilya Kovalchuk way. - How do you plan to keep warm during the match? - If it gets cold, I'll probably drink warm water or hot tea. It would be even better if they have blankets for us on the bench, but I hope the temperature won't drop that low. - What should you do if it starts to rain, and which kind of weather would be ideal? - I don't know what we'll do if it rains (smiles). I hope that won't happen, and that the weather won't let us down, but you never know. Ideal weather would be sunny with the temperature just a little below zero. - Will any of your family come to the game. - Probably my parents, brothers, friends. I hope as many people as possible make it to the game. - Which SKA player are you most looking forward to facing? - I like watching Ilya Kovalchuk at work; he's an awesome sniper. As a kid, I watched clips of his goals, and I wanted to shoot the way he could. Zapolski: "I wouldn't say no to a hot chocolate during the game. " 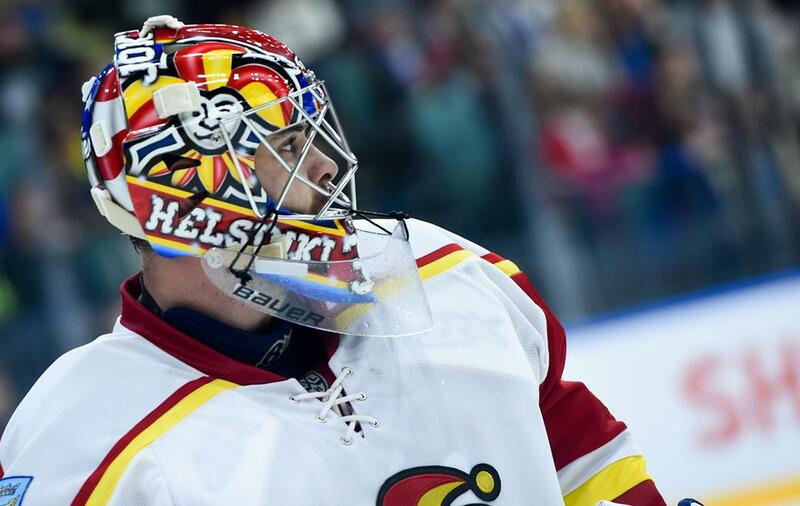 Jokerit netminder Ryan Zapolski is sure that such matches are toughest on the men between the pipes, and hopes for very little snow or sun. - Did you ever play open-air hockey in the United States? - My college team never played in the open-air, but of course, in early childhood we loved to play street hockey. As soon as the NHL began holding games in the open air, a lot of college teams began to do the same. - It is true that it is hardest of all for the goaltenders in such matches? - I think so, but a lot depends on the quality of the ice, as you need to deal with the rebounds, and that all depends on the air temperature. The puck can be unpredictable, so the goalies have more factors to consider than do the skaters. I hope the game will be a lively one and that I don't freeze. As for the weather, I'd prefere not to have a lot of snow and sun. - I guess I'll just have my usual water with me, but I wouldn't say no to a hot chocolate.